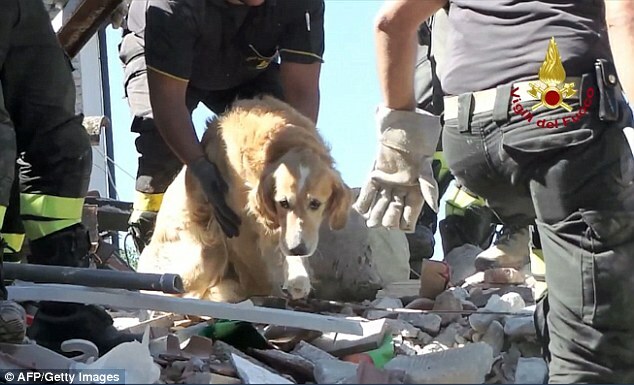 A barking dog has been found alive beneath the rubble in Italy – nine days after an earthquake destroyed an entire town. 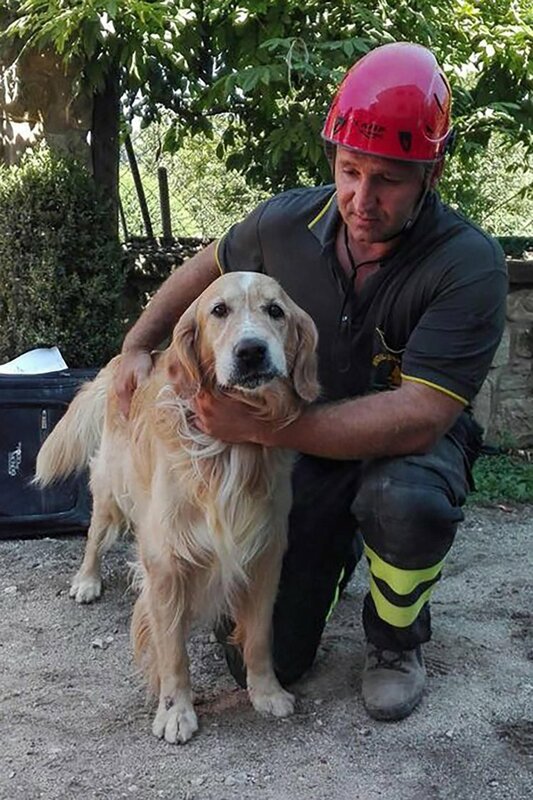 Romeo the Golden Retriever was pulled up through a pile of concrete in Amatrice after rescuers heard him crying this evening. Although appearing to be bewildered at first, the dusty hound slowly scampered down mounds of debris and began to wag his tail. Firefighters said that they heard the dog barking as they were attempting to retrieve his owner’s belongings from the remains of their home. 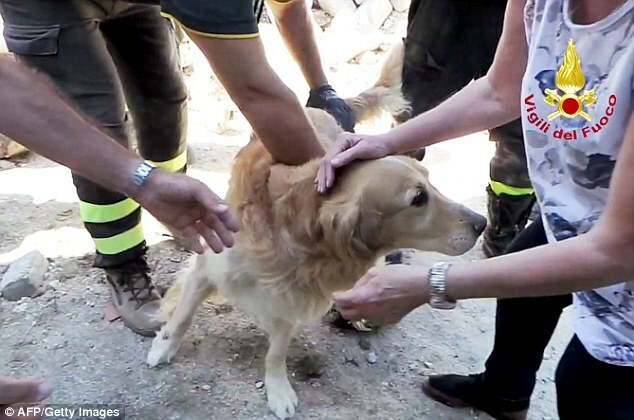 Pictures show the moment the pet saw daylight for the first time in more than a week, much to his rescuer’s delight. 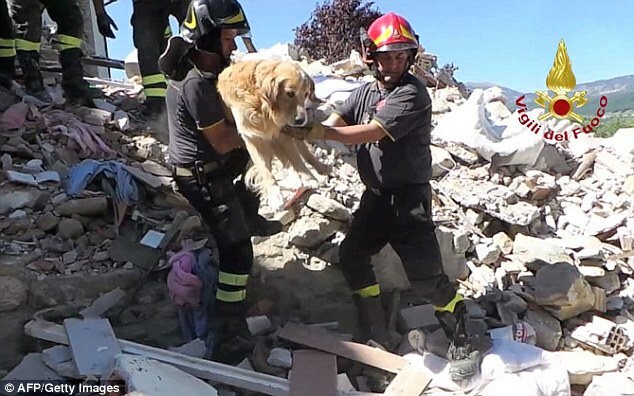 The temblor struck central Italy on August 24 and claimed almost 300 lives and injured hundreds of others. People have been left without homes, or had their property marked unsafe to inhabit. 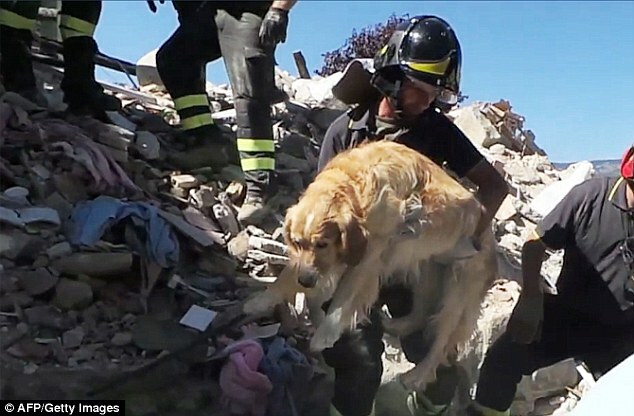 Responses to "Dog rescued from Italy's earthquake rubble after being buried for 9 days"
Amazing will to survive. Sad but joyful.